In a 1995 judgment, the Supreme Court had said even a slogan like ‘Khalistan Zindabad’ doesn’t merit charges of sedition. Then why are the students of JNU being tried on absurd, and shaky, grounds? Former president of the Jawaharlal Nehru University Students Union (JNUSU) Kanhaiya Kumar was arrested on February 12, 2016, under sedition charges, along with fellow students Umar Khalid and Anirban Bhattacharya. Sections of the TV media ran organised propaganda campaigns against Kanhaiya and the entire university, branding it ‘anti-national’. The video clips these channels aired claimed to show Kanhaiya and his colleagues taking part in demonstrations in which some students allegedly raised anti-India and pro-Pakistan slogans. The students have repeatedly stated that no JNU student raised any such slogans. The sloganeering is alleged to have happened during a meeting organised by some radical students at a cultural event on February 9, 2016, to commemorate the hanging of Kashmiri militant Afzal Guru, who was convicted for being involved in the 2001 terrorist attack on Parliament. In any case, the JNU administration cancelled the permission granted to hold the event. But the student organisers, Anirban Bhattacharya and Umar Khalid, decided to go ahead with a poetry reading planned for the evening. Little did they know that the right-wing student organisation, Akhil Bharatiya Vidyarthi Parishad (ABVP), which is affiliated to the Rashtriya Swayamsevak Sangh (RSS) and enjoys BJP backing, would disrupt the event. Not only did the ABVP disrupt the event, but also alerted the police, some TV channels and JNU security staff to reach the spot. The radical left-wing students raised some provocative slogans, but some unidentified masked people, who were also present, allegedly raised strongly anti-India slogans. 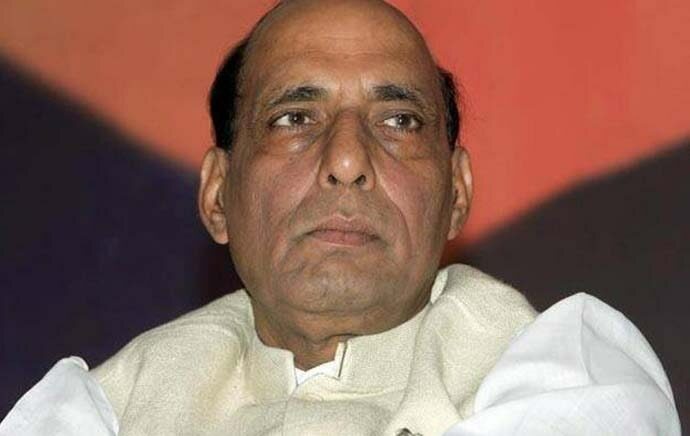 On February 14 the same year, Union Home Minister Rajnath Singh went to the extent of claiming that Hafiz Saeed, leader of the Lashkar-e-Taiba (LeT) was behind the protest. The minister's claim was shown up to be incorrect, but he tried to salvage the situation saying he had intelligence reports. Meanwhile, vigilante groups of the ruling party demonstrated and tried to get inside the JNU campus, raising slogans demanding ‘death penalty for the anti-nationals’ of JNU and the immediate shut-down of the university. On February 15, lawyers attacked JNU teachers and students, including Kanhaiya Kumar, then under trial, and journalists at the Patiala House Court, where Kanhaiya was to appear for bail. The students alleged that they were injured, an allegation former Delhi Police chief BS Bassi flatly denied, despite the fact that some of the assailants were caught on camera unleashing violence. Even the special delegation of lawyers sent by the Supreme Court to investigate the violence was reportedly abused. On February 19, news came in that the videos showing slogans being raised were morphed. Later, during the court hearing of Kanhaiya's bail plea, the Delhi Police stated before the judge that there was no video evidence showing Kanhaiya raising anti-India slogans. But the police maintained they had eyewitnesses — obviously members of the ABVP — who had lodged complaints and were supporting the police version of events. A forensic investigation ordered by the Delhi government found that at least two videos of the controversial JNU event that were taken as evidence were doctored. Words in the videos that are seen to incite violence have been spliced, the forensic lab report stated. On March 2, 19 days after Kanhaiya was arrested, the Delhi High Court granted him interim bail. Meanwhile, the case carries on. There is no clear evidence to suggest who actually raised the anti-India slogans. But several students, including Kanhaiya, still have sedition charges against them. The term ‘anti-national’ does not figure in the Constitution which even makes the charges of 'anti-national' unconstitutional. 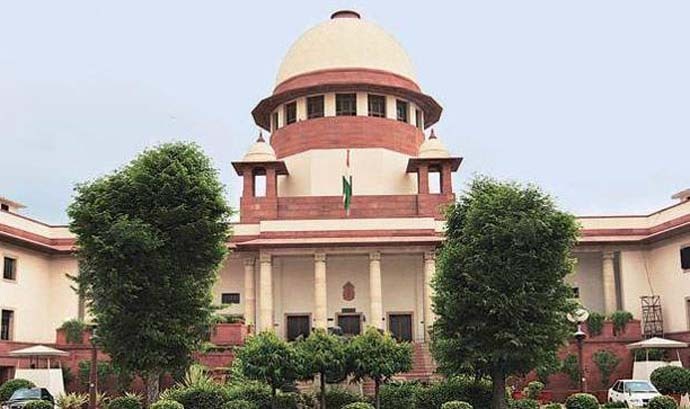 In 1995, a Supreme Court bench said that even raising slogans such as ‘Khalistan Zindabad’ and ‘Raj Karega Khalsa’, which support Punjab’s secession movement, were not fit to be tried under the sedition law. Evidently, we need better education in legal circles, not to mention the general public too. The truth is that JNU has always been part of the larger political and social discourse of this country. That is not liked by many, who belong to the right-wing ideological block. The attack on JNU students reportedly had the full backing of JNU vice-chancellor, M Jagadesh Kumar, who is seen by many as pro-RSS. Surprisingly, it has taken the police three years to put together a chargesheet in the case. Many are linking the chargesheet’s timing with Kanhaiya Kumar’s likely Lok Sabha candidature from Bihar’s Begusarai. While the JNU students face trial, it is imperative that an investigation is also conducted into how the investigation has been motivated and targeted as well as the apparently partisan role played by the police.